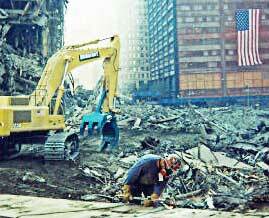 ArtAID provides banner design for The Ground Zero Flag. 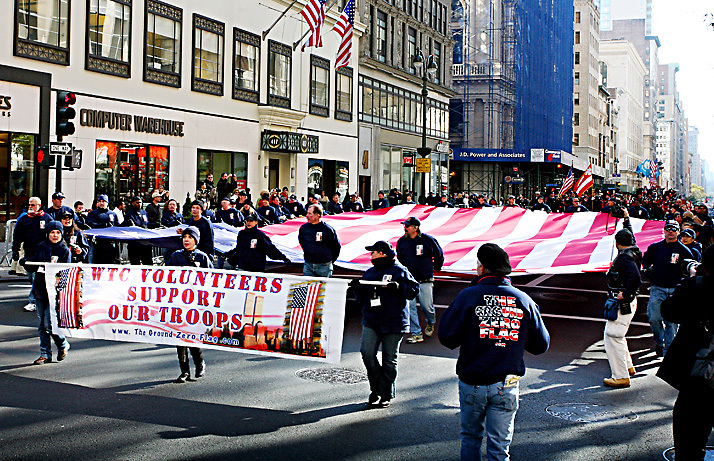 New York City, NY -- November 11, 2007: ArtAID collaborated with organizers of the Annual NYC Veteran's Day Parade and The Ground Zero Flag to produce a beautiful banner and design for sweatshirts given to all the volunteers. The latest foundation to join the growing ArtAID community, The Ground Zero Flag, is made up of WTC Volunteers from lower Manhattan who gave countless hours in the relief and recovery effort in the aftermath of September 11th, 2001. 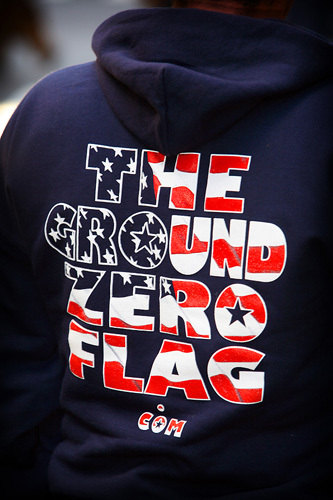 The Ground Zero Flag sweatshirt worn by all volunteers during the annual Veterans Day Parade in NYC. York City, NY -- November 11, 2007: ArtAID banner leads the Ground Zero Flag, a huge US Flag carried by dozens of WTC volunteers up NYC's 5th Avenue during the Annual Veteran's Day Parade. The WTC Volunteers banner hold banner designed by Keith (the artist). 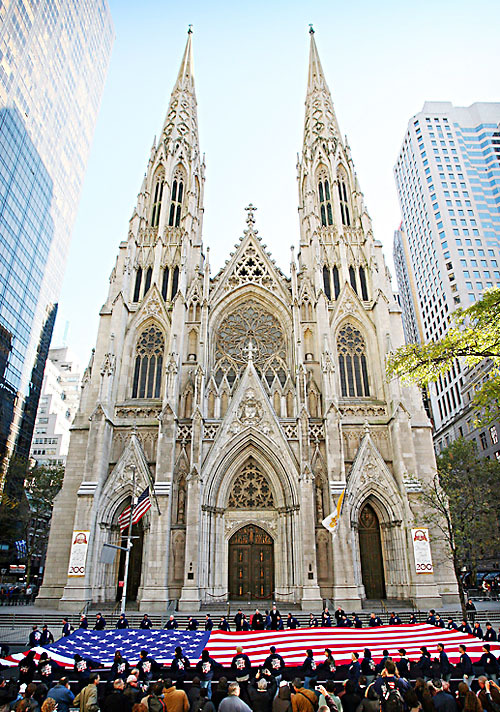 All the beautiful images on this site were created by Maryanne McGuire, who generously provided them for this story. THANKS MARYANNE!